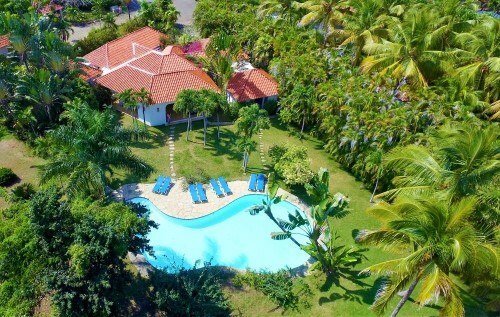 This elegant family villa with a true Caribbean ‘Beach House Feel’ is located in one of the most desirable waterfront communities on the north coast of the Dominican Republic which offers a Tennis Club, an Equestrian Center, Seaside Pools and an Ocean Front Restaurant. 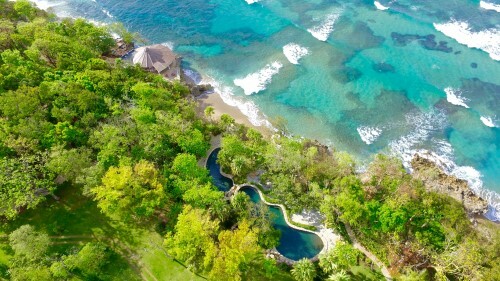 The family villa is just a 2-minute stroll through palm groves to a series of spectacular beaches and sandy walking trails. 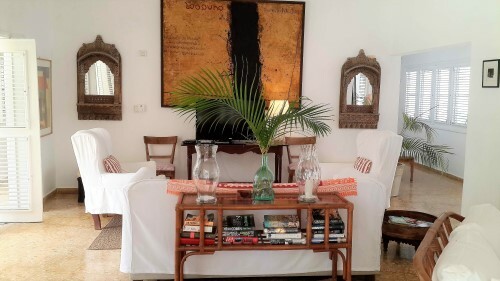 The elegant villa is situated in a large private domain with 24/7 security only 5 minutes drive from the center of town where you find supermarkets, shops, restaurants, banks and schools. 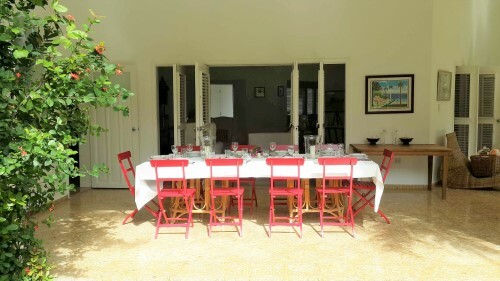 Unique characteristics of this luxury family villa make it highly desirable and include the authentic Caribbean architecture completed with original hand picked decorations found throughout the villa. All through the house the smart architecture of open windows and doors invite the cool Atlantic breeze to flow through the villa while boasting unobstructed views of the pool and surrounding natural foliage. 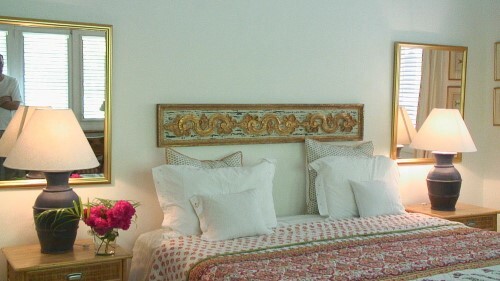 The 5 bedroom suites are elegant yet offer you the same laid back atmosphere felt all through the house. Outfitted in terra cotta tiles with open beamed vaulted ceilings the living areas are bright, cool and spacious. 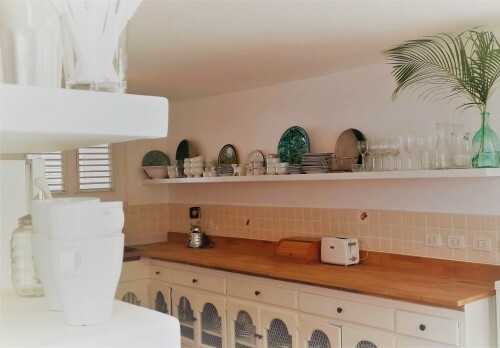 The kitchen features locally made built in cabinets with lots of tiled countertop space and offers plenty of room for groceries and shelving for dishware and cooking appliances. Having breakfast while watching the sun rise can be the first item on your agenda everyday as the patio is very spacious and includes an outside dining area completed by lounge chairs with cushions. Other patio furniture is included and blends in beautifully with the surroundings. 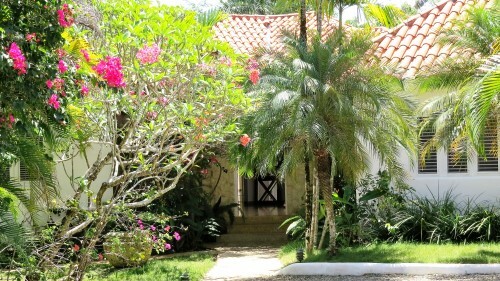 The garden of the property is kept in its natural state offering privacy and low maintenance. 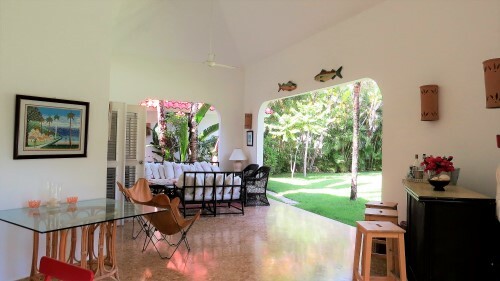 This family villa is ideally located being close to Sosua with four sandy beaches and reefs ideal for diving and snorkeling and Cabarete with its panoramic views of the distant Cordillera mountains. Cabarete is known as ‘The Adventure Sports Capital of the Caribbean’ with a host of water sporting events and outdoor activities. This part of the North Coast is both beautiful and world famous as a kite boarding and wind surfing centre. 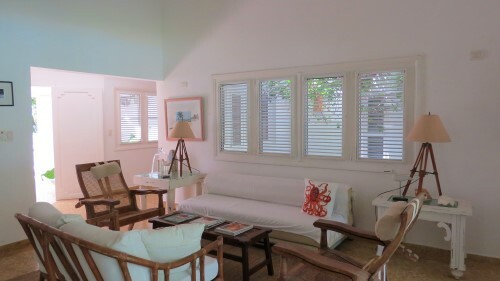 Due to its prime location and size, this villa also makes a superb rental opportunity with proven rental income. The Puerto Plata airport is 20 minutes away and offers daily flights from North American and European cities. If you admire quality, elegance and style then this exquisite home could be yours. 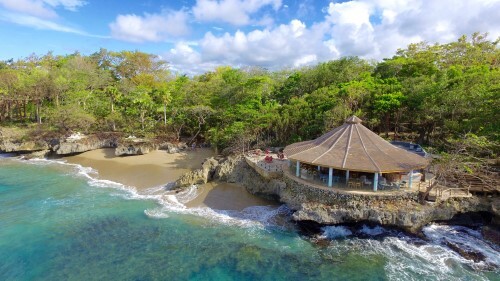 For more information about this luxury property and real estate in the Dominican Republic in general please contact me directly or fill out the application form.